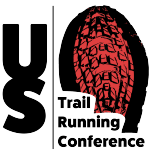 The 2019 edition of the USATF Half Marathon Trail Championships will take place in Scranton, PA, on Sunday, June 9th. The competition, which will highlight some of the best competition in the country with offering $6,000 in an overall prize purse, age group awards, and a Masters Competition with $400 in prize money. The course will be run on the challenging terrain of Montage Mountain Resorts and offer over 3,400 feet of elevation gain over the half marathon course. The trails are true east coast style trails that can be technical, steep at times, and fast as well. The Top Masters for both Male and Female will also receive $200 for winning the master division. Age Group awards for Top 3 Male/Female in the following categories: 19 and Under, 20-29, 30-39, 40-49, 50-59, 60+. 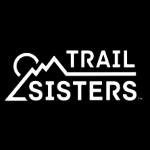 Montage Mountain Resorts has hosted challenging trail races the last five years with their series, Black Diamond Running Series, with distances ranging from 5k-10k but is excited to be adding the Half Marathon distance this year! Each participant will also have access to the Montage Mountain Water Park for the whole day following the race, a $29.99 value. Runners can register on UltraSignup’s website under Montage Mountain Trail Half Marathon. 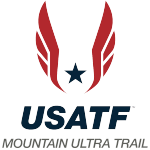 All runners looking to win the prize purse must also be members of USATF but all are welcome to run the race, if not. Meet headquarters will be at Montage Mountain Resorts where packet pickup and the technical meeting on Saturday, June 8th, and post-race happy hour, awards, and party on Sunday, the 9th. Activities and things to do in the area can be found at the Discover NEPA.